Raymond Crawford New Jersey Star! Raymond Crawford’s State Star Series now includes New Jersey! The star is 18 mesh and $57. 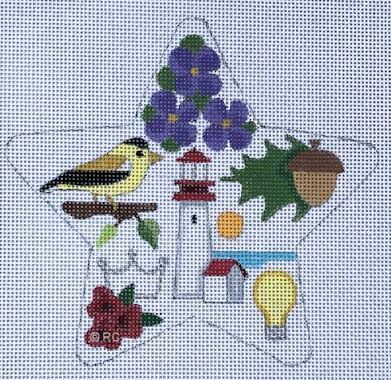 201-612-7770 or email us at stitches@ridgewoodneedlepoint.com to place yours now!